General Tools’ 141ME Pocket Caliper is exactly what it sounds like – small calipers that are convenient and compact enough for pocket-carry. Or you can of course leave it in your tool bag or toolbox. I mentioned these calipers in last month’s post: What’s the Difference Between Calipers and Micrometers. They’re small, with a 3″ opening width, and a 4″ scale on the top edge. Markings are in 1/32″, and 1 mm. While no substitute for “real” calipers, the Pocket Caliper is quick to use and handy to have around. I bought one a while ago, and it has earned its place in my toolbox. 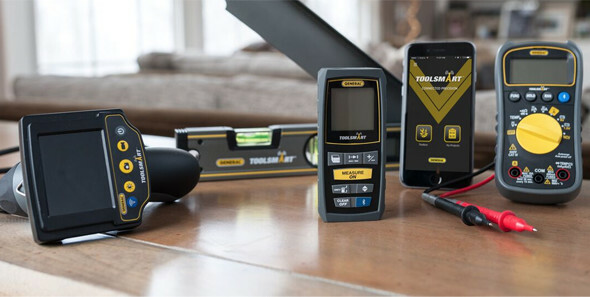 There are better tools for precision measuring tasks, but it’s hard to beat the Pocket Caliper’s convenience for when you just need to make a quick outside measurement up to 3″. It’s light, durable, and non-marring. Unless things have changed, they’re made in Switzerland. Love my long life from Lee Valley. Fits into the top pocket of my Veritas apron. I’ve been burned to many times with cheap measure and mark tools. The worst are usually combination squares that aren’t square and the thumb wheel does not adequately secure the head. And I too have purchased a few plastic ones, including a plastic speed square and ruler. They have always proved more frustrating than not and have all ended up in the trash. I understand the desire for something cheap I can just throw in the glove box and use when I am out, something that I don’t value more than my first born, like my 40+ year old Starrett tools, but they just don’t work for me. And unless things have changed there were made on earth. Yes. Most likely. Except someone on Home Depot’s site as linked above asked “if it was made in Germany”! Ahahahaha. Looks like the same calipers but it’s listed as “Milwaukee” brand (even though it’s still “Empire” in the pictures. Maybe those brands are owned by the same parent company? Or could just be mis-listed. Might have to see what it actually looks like next time I’m in HD. Anyway, just a curiosity. Milwaukee owns empire now or their parent company tti does. Aaargh, you got me again. 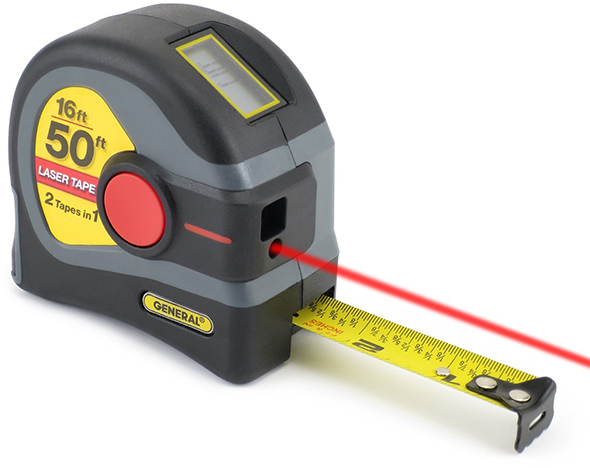 I just plunked down $60 for a Bosch Blaze laser measurer after rabbit-holing down through measuring tool links off the General tape and laser review. I thought I’d be safe just reading about pocket calipers but am obviously too easily led astray. Out of curiosity- have you ever compared this to a “real” caliper to see how accurate it is? If your grabbing calibers to measure something ,why would you use a cheap plastic set? If it doesn’t need to be that accurate why not use a tape or wood rule with slide….btw thank you for COO. It isn’t so easy to use a tape rule to measure things like the diameter of a bolt. Also, calipers can be handy to transfer measurements, so you don’t actually have to read the scale. I don’t know if these particular calipers would be good for that; if they slide too easily, it would be easy to lose the measurement. I have a plastic one I got as a freebie at a boat show years ago. I use it all the time, mostly for checking nut/bolt sizes in hard to reach places but, also hoses, connectors and various nominally standard sized things. My boat is a mix of metric and SAE and I’m bad at eyeballing sizes. I also have little brass calipers, larger accurate calipers, rules, tape measures. Each has its best uses. Ah. That makes sense. Awkward listing still, but that clarifies that the pictured item is probably the one you get. Nice tip! Are the markings engraved into the body, or are they just painted on? They’re molded and painted/dyed for contrast. Also, I notice that this tool is small and cheap, but I notice HD has a 3″ carbon fiber digital caliper for $13.56 and a 6″ stainless steel digital caliper for $14.14. That’s not much more, and you get greater accuracy and ease of use. Batteries are an issue, but still. and love them. Have to be zero’d alot but nice trade off for something that fits in my pocket. Yep, that’s the one I saw. The plastic 141ME above costs just $1.50 less, for far less capability. But the brass one PETE recommends is just $8. Why is the plastic caliper so expensive? I have a couple of the plastic ones, love them for the same reasons everyone else does. I’ve been trying to justify getting a Messograf caliper pen for a while now — this sort of thing makes it more difficult to resist. I bought a Starrett pocket slide caliper at a swap meet for $15. I run into them now and then. New they go for $200+. Nice locking wheel. There is a four and six inch one. I have both but I tend to use the six inch one. You can still order parts for them. It’s great. I also have a General metal slide caliper. It’s very similar to the plastic one.